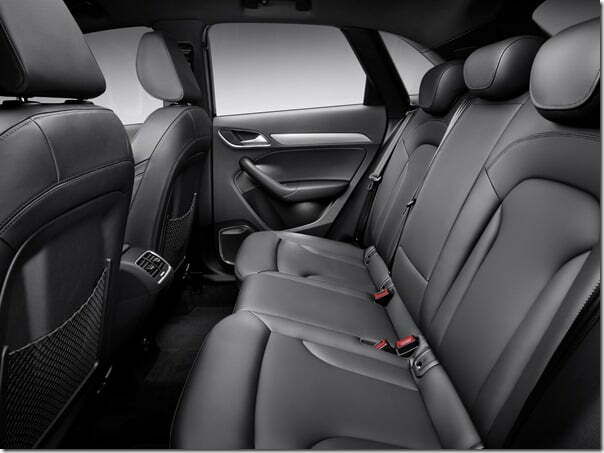 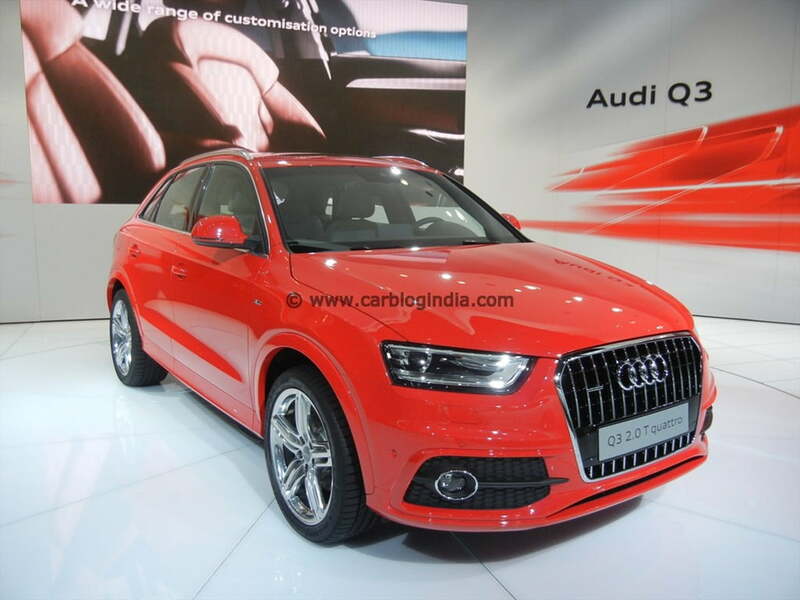 Audi is all set to enter an all-new segment of compact SUV with the Audi Q3 which was recently showcased at the 2012 Auto Expo. 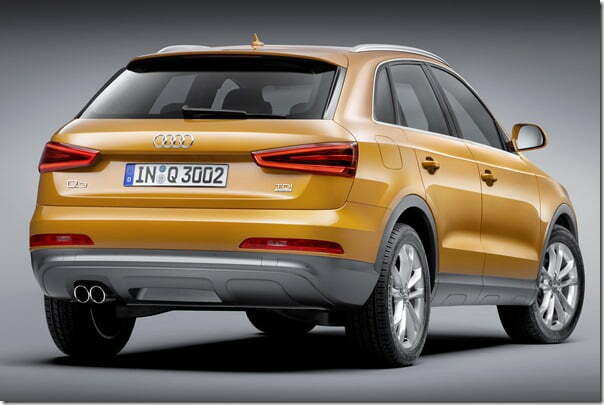 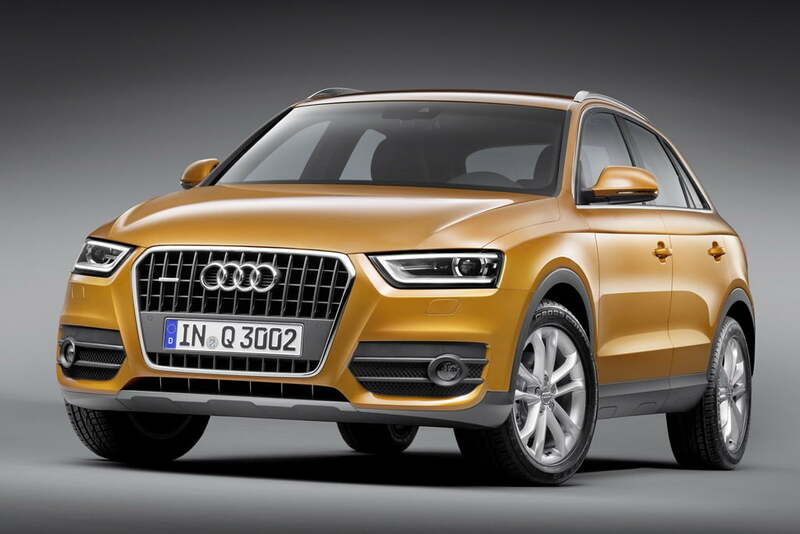 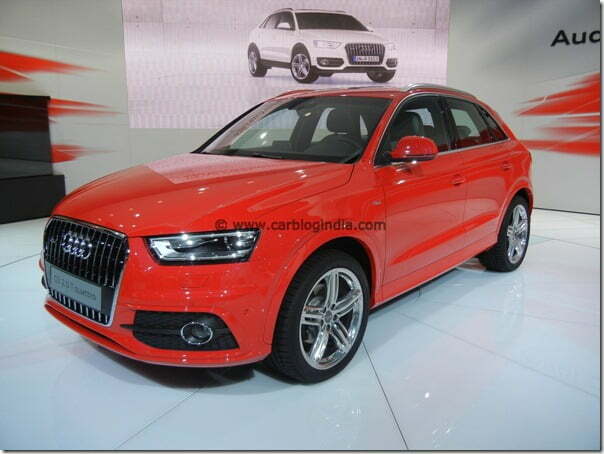 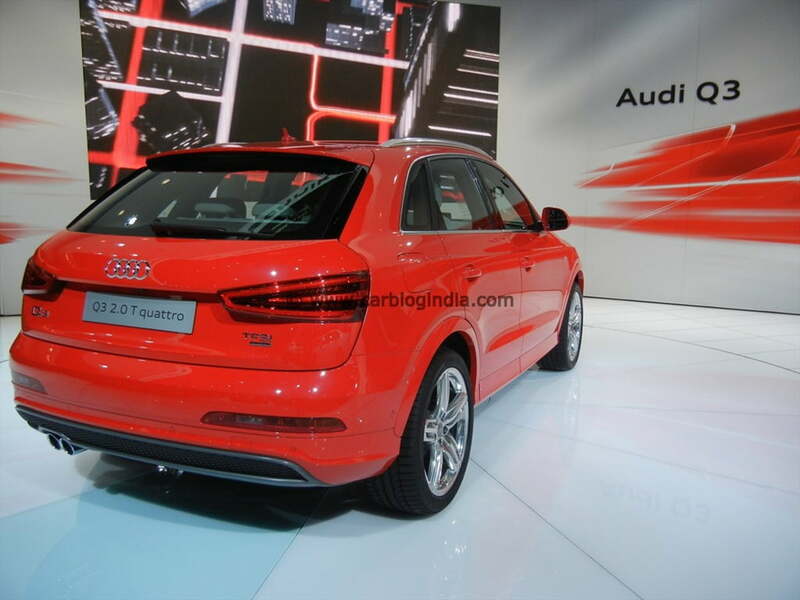 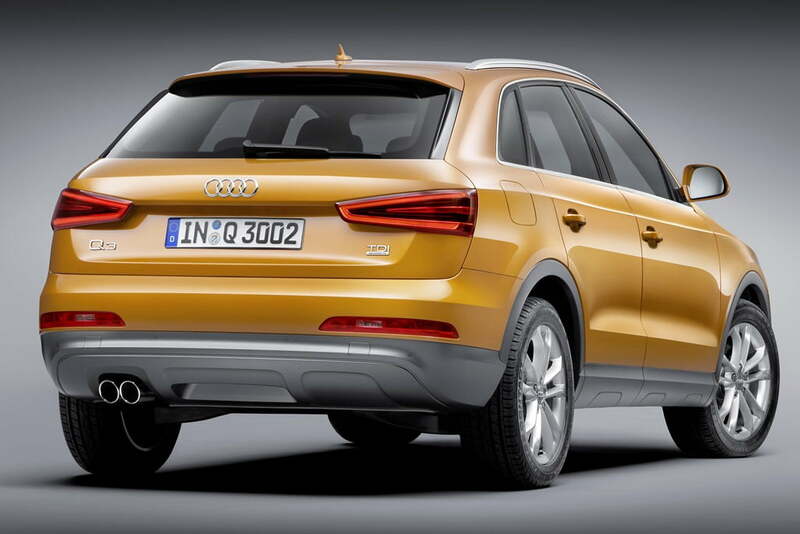 The first impression of the Q3 is that it is sporty and compact at the same time. 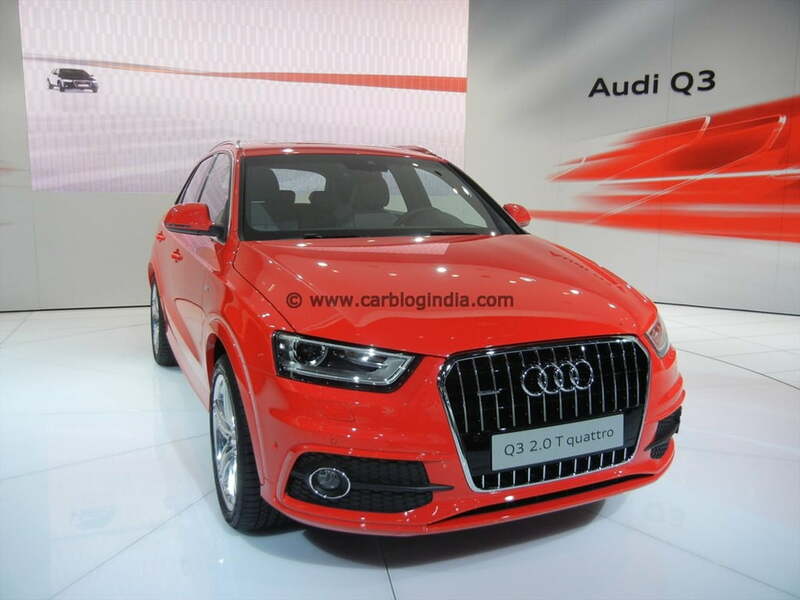 If you come across a Q3 on road it would not take you even a second to recognize it as the car sports the typical Audi front fascia already gracing many of its elder siblings like the Audi Q5 and Audi Q7. 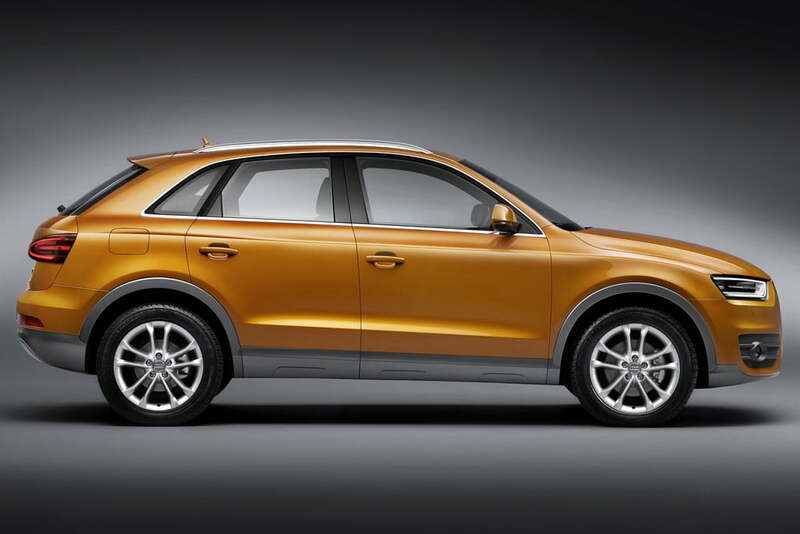 Being the youngest and one of the most recent product Audi has given it a slightly different appearance. The roofline of the car is more like of a coupe and the front is a bit more edgy with distinctive lights incorporating daytime running LEDs. 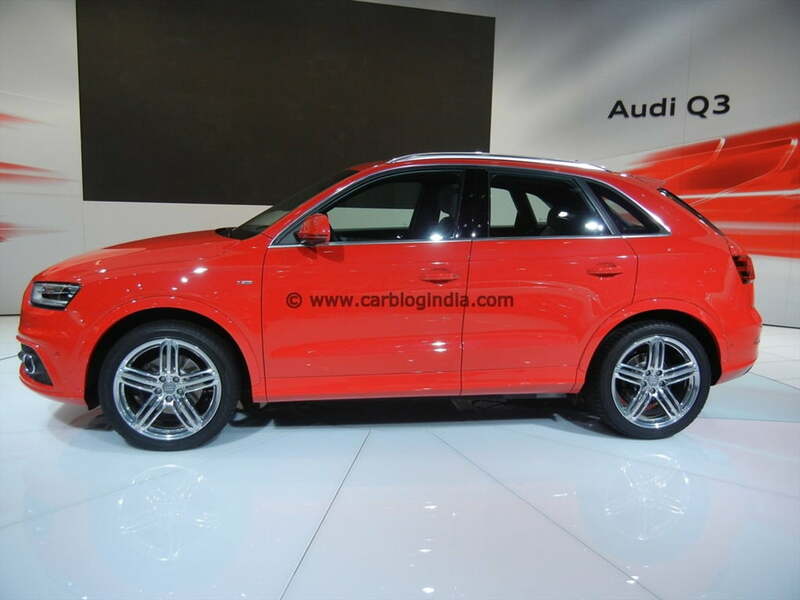 The wedge shaped headlights are derived from the Q5 and Q7 and the turn indicators are located behind an intricate fascia vapor coated with aluminium. 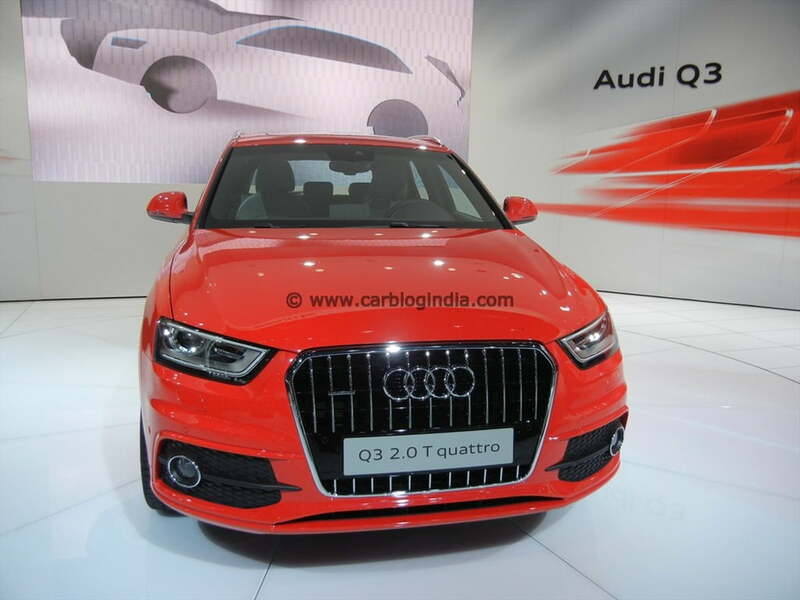 The headlights can be paired with high beam assistant feature which detects oncoming vehicles and changes between high and low beams automatically and Audi is the first one to introduce the feature in the compact SUV segment. Being an Audi the very premium feel is always expected and this car is not an exception. The Q3 has a very rigid stance and its occupant cabin is made up of ultra high steel members. The engine hood and tailgate are made of aluminium. 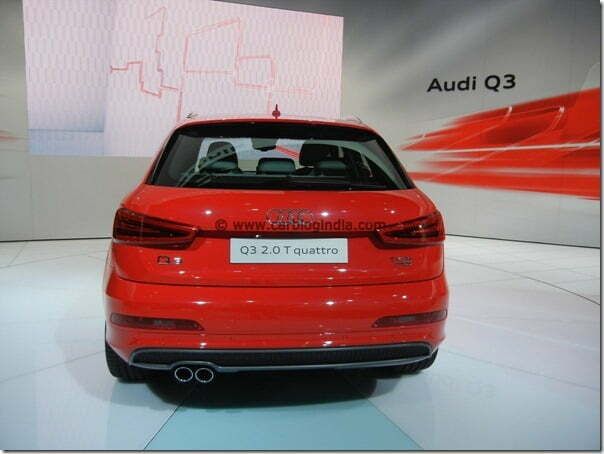 Talking about the dimensions the car is 4.39 meters in length, 1.83 meters in width and 1.59 meters in heights. On the grounds of technicality the car is once again a brilliant Audi product alike its other siblings. 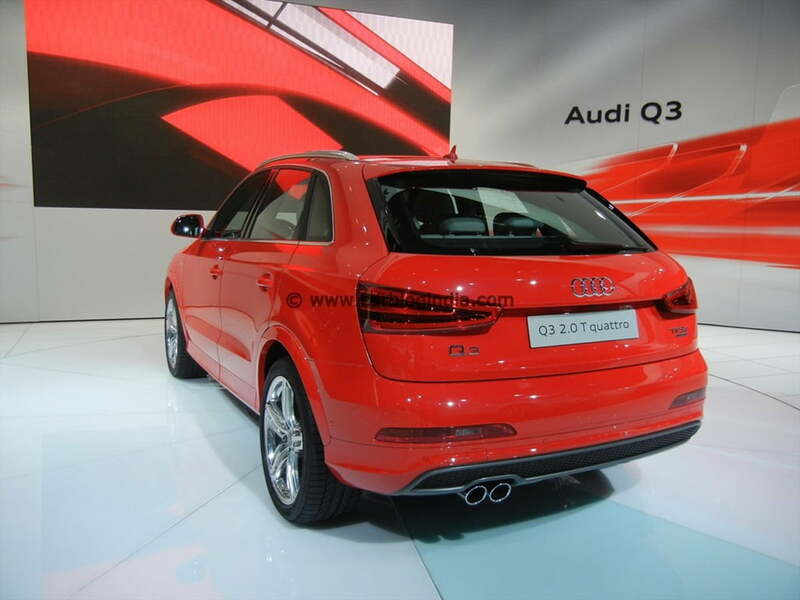 The car is available in both TFST gasoline and TDI diesel engine options. 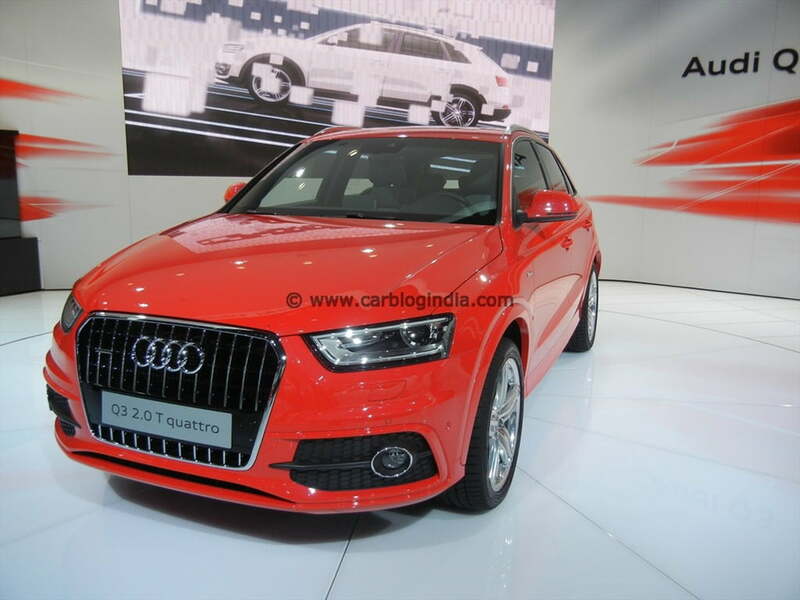 Starting with the gasoline engines the car uses two version of the 2.0 TFSI having displacement of 1984 CC, of which the first one produces 170 BHP of max power while the other an appreciable 211 BHP. 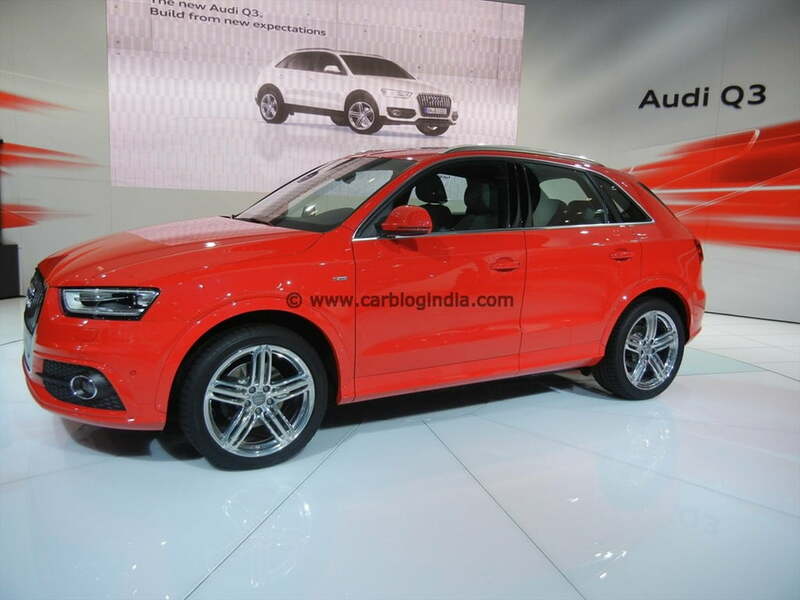 Coming to the TDI diesel engines, the car equips a 1986 CC high tech CRDI diesel engine that delivers 177 BHP of max power and 380 Nm of max torque in the range of 1750-2500 RPM. 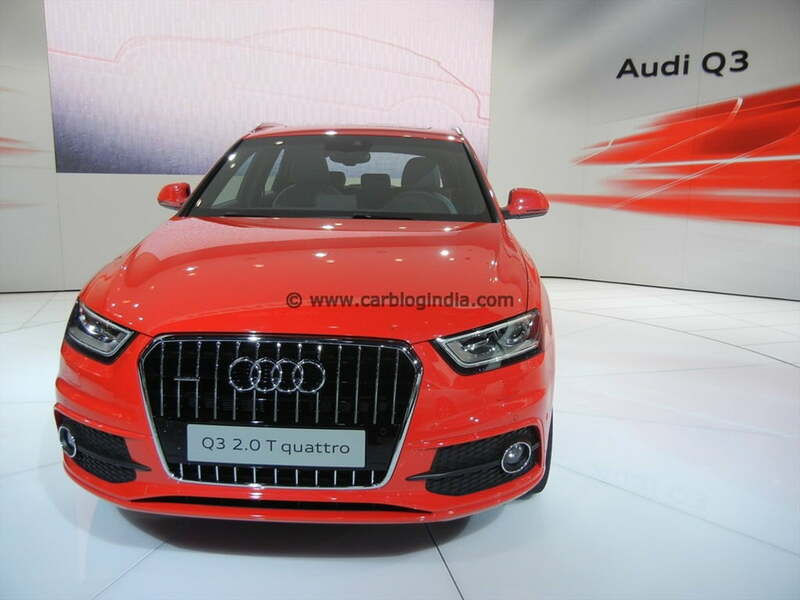 The 2.0 TFSI petrol and 2.0 TDI diesel, which are yet to come, will be mated to a 6 speed manual transmission while the top of the line versions come with a standard seven speed S tronic automatic transmission. Now that the car has been showcased at the Expo we eagerly await its official launch and pricing. 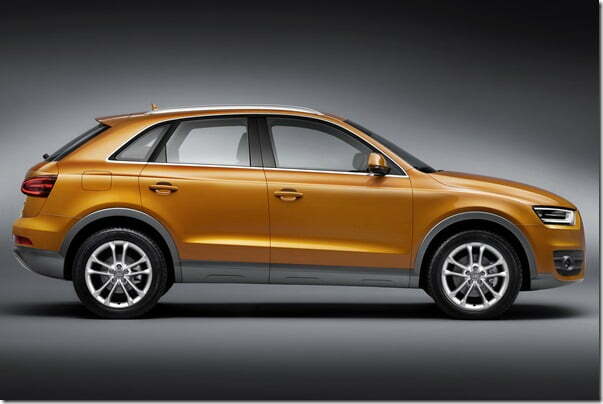 So stay tuned for mode updates.